Wild Prawn Cafe Bar + Grill is located within the Quality Hotel Ballina, just opposite Lighthouse Beach and is a licensed a la carte restaurant. Casual, relaxed dining in a garden view setting offering great seafood and succulent steaks. The menu incorporates both modern cuisines as well as the classic favourites. 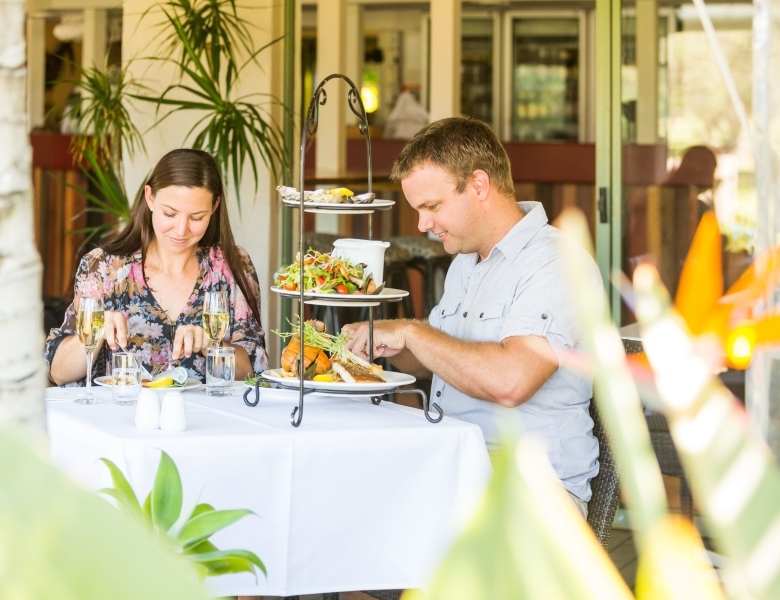 They feature a wide range of local produce from across the wider Northern Rivers region.